::: Off the Radar :::: New Lykke Li Single! 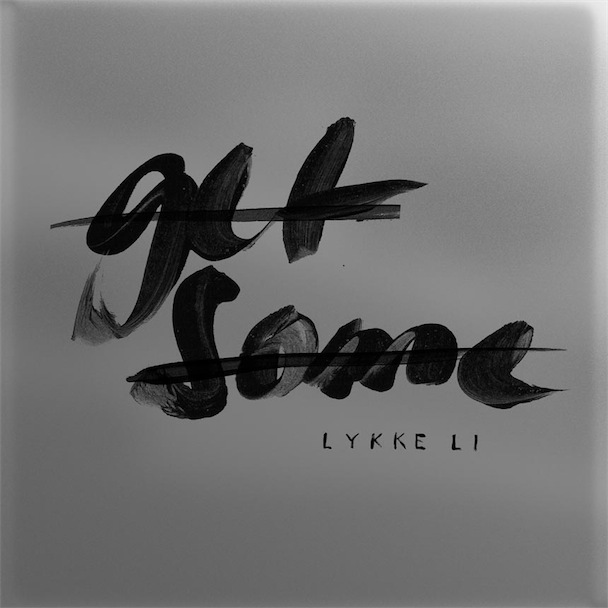 So it's been a while since we've heard new music from the Swedish singer, Lykke Li but just yesterday she unveiled her new single "Get Some"/"Paris Blue". I was first introduced to her when I heard Kleerup's (also from Sweden) debut album (2008) and I immediately researched to see who the sweet female vocal was which brought me to her debut album, "Youth Novels" (2008). "Get Some" is a more intense, tougher and pounding track while "Paris Blue", an acoustic b-side tune shows her softer and more vulnerable side. Both show her full range of musical talent. The 7" vinyl will be available November 1st via Rough Trade but you can hop over to her site to download both tracks for free by entering your email address.